For his May 7th show at Terraza 7, guitarist Prasanna and his band will transform the unforgettable hit songs of Bollywood’s most beloved composer R.D. Burman into a youthful journey of Hip hop breakbeats, Dub Step, Latin Beat and Carnatic Raga. 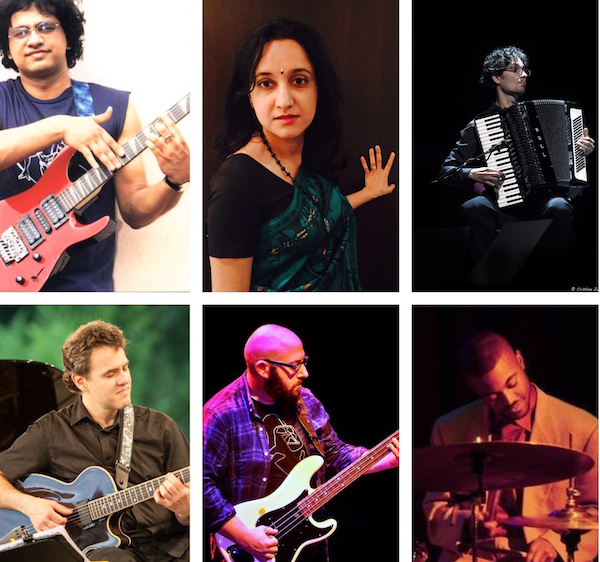 With versatile singer Shalini as a special guest and a band featuring Brazilian guitar master Rubens De La Corte, Accordion virtuoso Vitor Gonçalves, the sonic groover bassist Steve Jenkins and the dashing young drum prodigy Jalon Archie, Prasanna will take audiences on a 7 train journey to R.D. Burman and his magical world. No Replies to ""7 Train to R.D. Burman""